Many kids from our generation grew up seeing Sanjeev Kapoor and Tarla Dalal's cooking shows on TV,now there are many shows and too many chefs to count.Khana Khazana,one of the most popular shows on Zee TV was a much awaited show for us.Even though,then we didn't know the basics of cooking,it was a pleasure watching this 'homely' looking chef who kept talking and smiling as he cooked. My recipe diary has at least 30-40 recipes of his,all scribbled down while watching his shows.So when MySmartPrice offered me his latest book 'Aah! 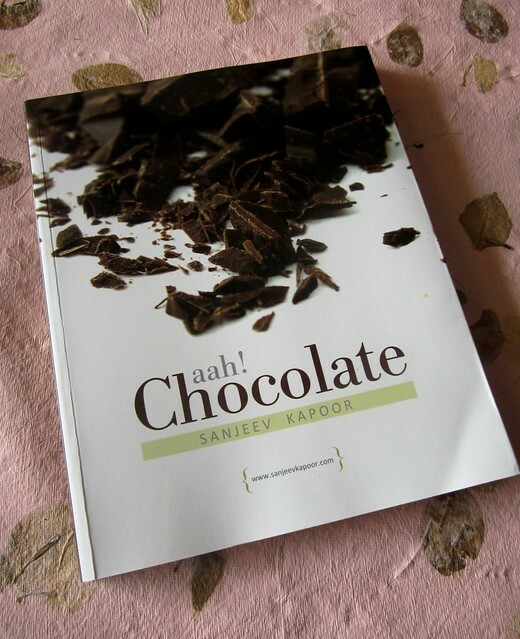 Chocolate' for review,I couldn't wait to lay my hands on it.Sanjeev Kapoor is one of the most celebrated face of Indian cuisine today.Khana Khazana,his cookery show on Zee TV was telecast non-stop for more than 17 years! "Forget falling in love,I would rather rise for Chocolate"
The book does full justice to the name,with full of chocolate-based recipes,how-to ideas to work with chocolate,making chocolate decorations from scratch and fusion ideas to include chocolate in an Indian sweet menu,this one truly is a chocoholic's delight.Plus when the author says this book is a compilation of chocolate recipes which he's been working on for a while now,you know this book is for keeps. 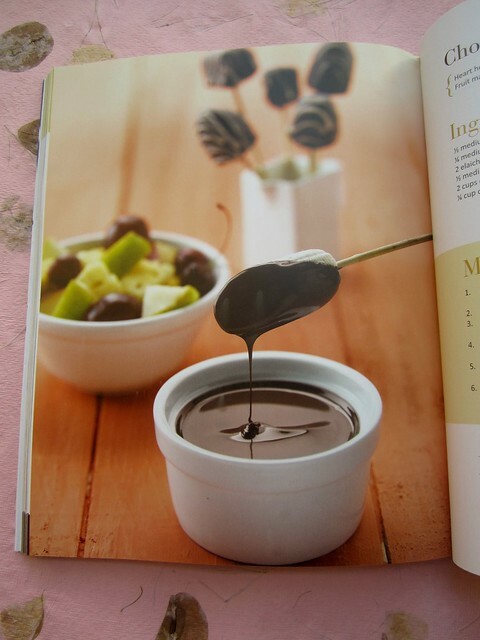 Notes on Chocolate,where it comes from,how it is made and factors affecting the quality of chocolate makes for an interesting read.The author also provides tips on how to store chocolate and how to melt it with detailed instructions. 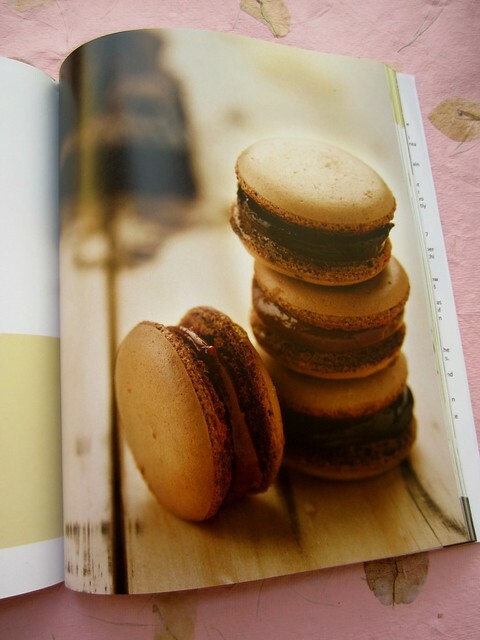 The recipes are neatly indexed - Beverages,Breakfast,Cakes and Pastries,Mousse and Cheesecakes,Chocolate Making,Tea-time snacks,Desserts,Mithai and Garnishes.The pictures are gorgeous too considering how difficult it is to shoot a chocolate-based dish. 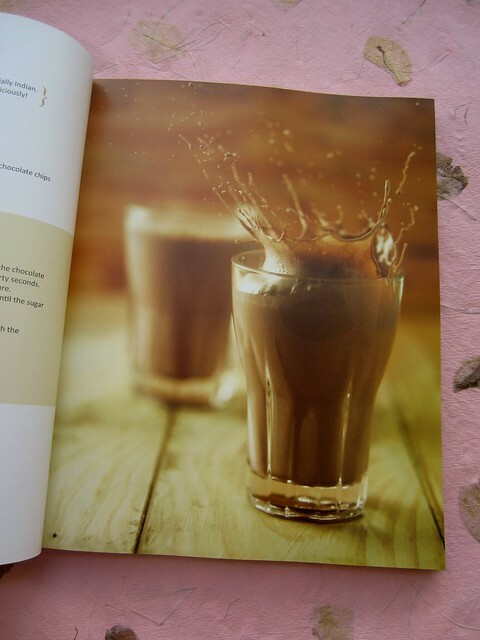 I thought for a while before attempting a recipe from the book as it was a difficult choice.Should it be Chocolate Lassi,an innovative recipe combining the Indian yogurt drink with melted chocolate or then some Chocolate Granola Bars with the goodness of Muesli and honey or Millionaire Chocolate Brownie with a note from the author saying you will feel like the most privileged person on earth after having a bite of these brownies!Finally decided to try these simple and popular Shrewsbury biscuits with a chocolate twist. Shrewsbury biscuit is a classic English dessert named after Shrewsbury,the county town of Shropshire.It is made with a dough which contains flour,sugar,butter,egg yolks and lemon zest.Kayani Bakery in Pune is very famous for their popular Shrewsbury biscuits and it seems they bake about 200 kilos of these a day and they are almost always sold out!Any recipe which is innovated with a chocolate can never go wrong in my opinion,so Chocolate Shrewsbury biscuits it was! 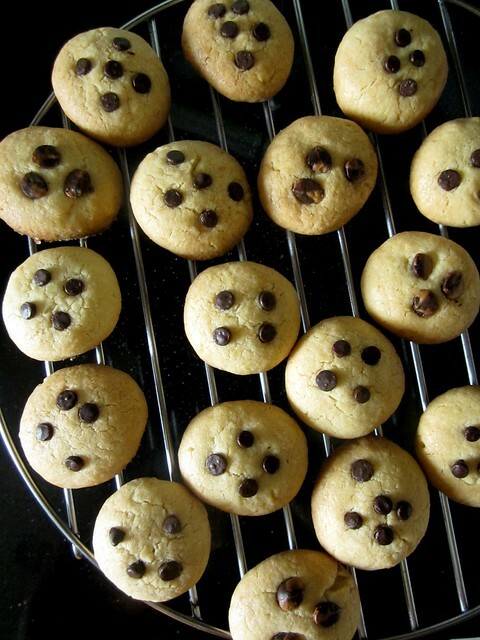 Rub the lemon zest into the caster sugar till the sugar turns moist and fragrant. 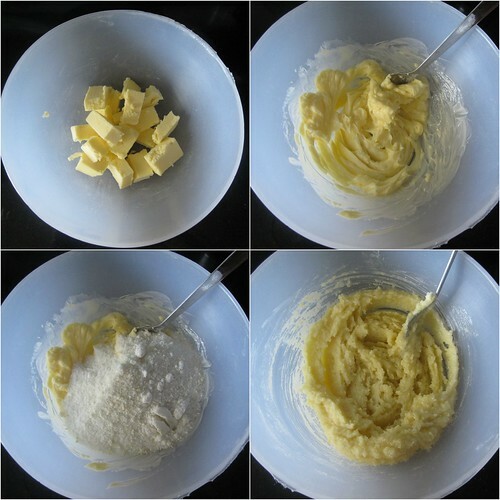 Beat the butter till soft and mix in the lemon-sugar.Beat well. 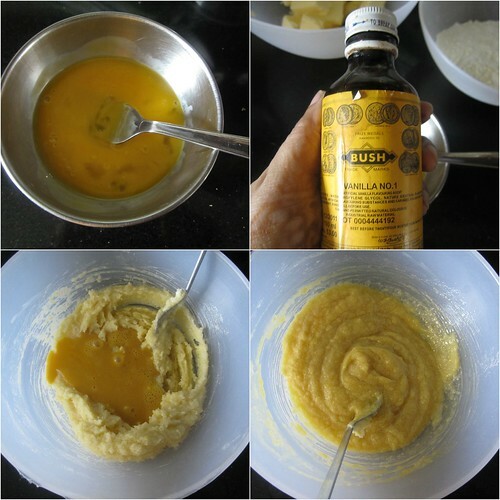 Add the egg yolks and vanilla and mix again. 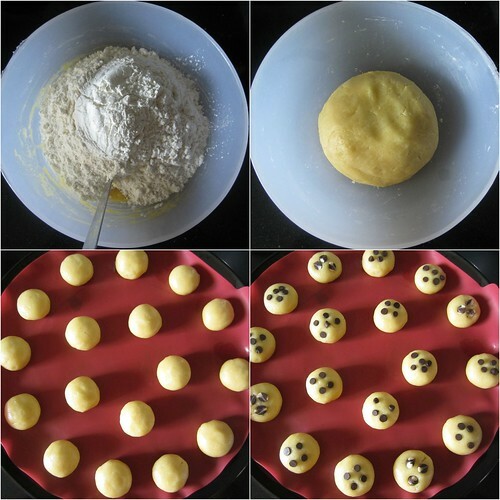 Now add all of the flour together and knead softly till you get a smooth and shiny dough.Cover with a cling wrap and refrigerate for 25-30 minutes. 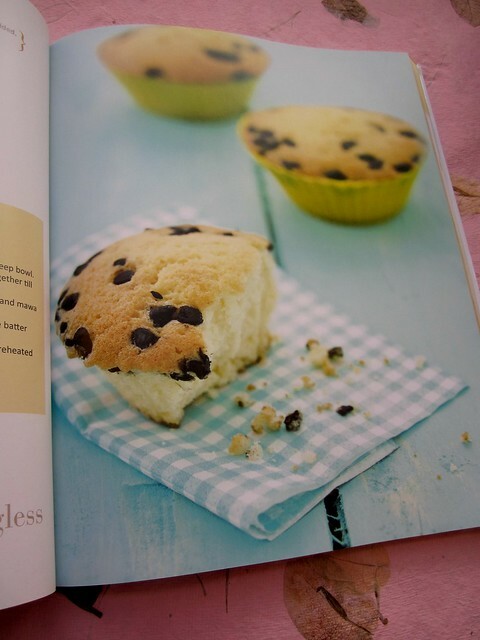 Divide the dough into equal portions and shape into small balls,flatten with your palms and sprinkle chocolate chips on top. 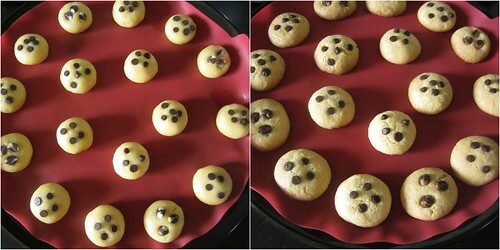 Arrange the cookies on a baking tray keeping sufficient distance between them.Bake for 20-25 minutes. 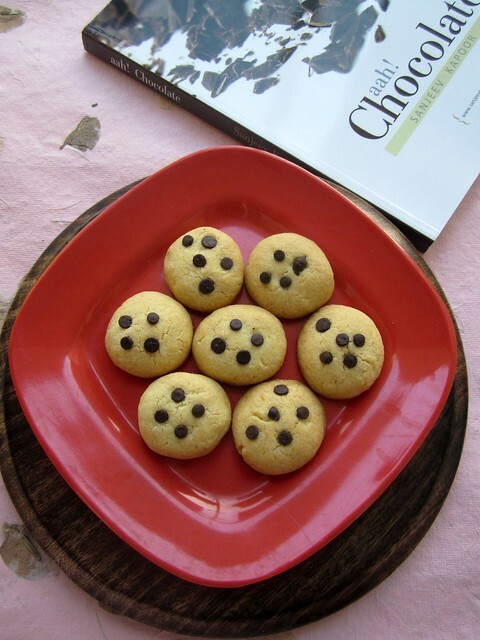 I was apprehensive of adding eggs to the cookie dough(that too,yolks! )as I have never done that before.I always choose to make my cookies eggless.But believe me when I say these cookies do not taste eggy at all.I think adding the lemon zest is the trick here,also the use of good quality vanilla.Having said that,I feel the eggs can easily be substituted with a tablespoon of milk or so to bind the dough together. 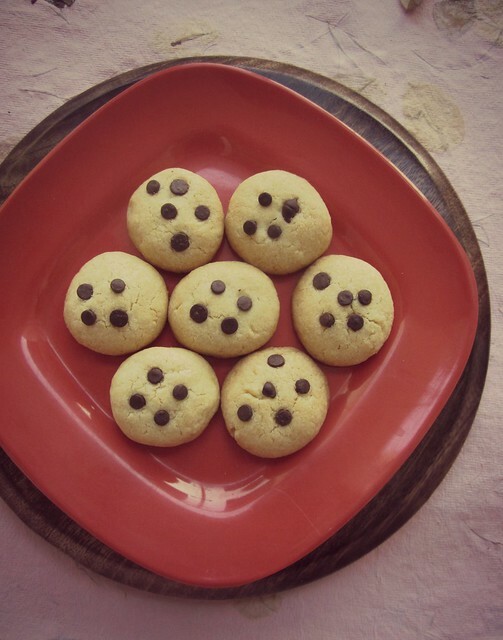 beautiful clicks.. biscuits look cute and yum!